Yellow container number MSCU3713629, blue container number CXDU2077321 and a rust brown container number TCLU41747408. Those locating dangerous containers are asked to call 112. 21 containers were located on the shore, so far, but not the containers described above. 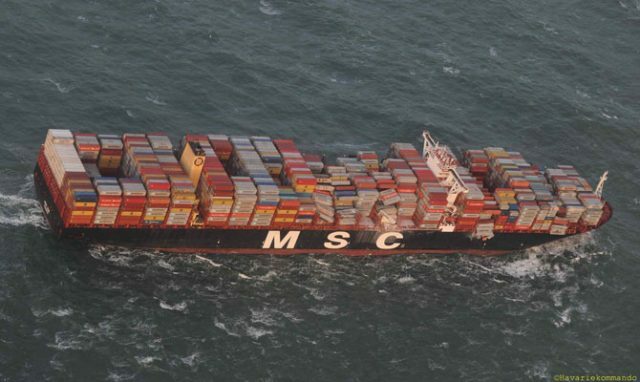 Mega container ship MSC ZOE lost 30+ containers during the night Jan 1 – Jan 2 in North sea in rough weather, north of Borkum, Germany, while en route from Sines Portugal to Bremerhaven Germany. 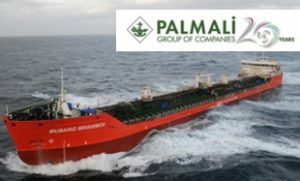 18 containers reportedly are located, 7 containers were washed ashore along Dutch coast in Vlieland and Terschelling area, with their content scattered around, said to be mainly car parts and toys. 3 containers contain organic peroxides, which can be dangerously reactive. They can decompose very rapidly or explosively if they are exposed to only slight heat, friction, mechanical shock or contamination with incompatible materials. Those 3 containers, as of 1200 UTC, weren’t yet located. MSC ZOE meanwhile, is slowly moving in northern direction, reportedly trying to assess the number of lost containers, and probably, other damages.